And we are falling for it! So you can spot the wolf-in-sheep’s clothing, I want you to know exactly what makes a way of eating a diet, so you can be smarter than the diet industry when they tempt you with their alluring marketing tricks (because we both know it will happen – the diet industry does psychology better than Freud)! Counting, restricting or severely restricting calories. Skipping meals or purposely delaying eating. Forbidding, banning, or not allowing yourself to eat certain foods. 4. Focusing on how food affects your weight. In a nutshell, no matter what name you call it, all ways of eating where weight is the focus are diets. But of course not all diets are the same, and recent research confirms this**. While dieting does not work for 97% of people who try it, it has varying effects on people depending on the nature of the diet. It’s pretty different picture to the one the before-and-after photos paint, isn’t it (I think of this as the “after-after” picture)? So if you pick a “good” flexible diet, you may even get through it without any harm done (although it probably won’t work, and will still be a waste of your time, energy, and money)! Although they may claim to be different, flexible diets are the siblings, cousins, or at best distant relatives of rigid ones. Intuitive eating is not a descendant of dieting, is a whole different species. Intuitive eating supports eating with inner wisdom. Intuitive eating makes peace with bodies. Intuitive eating starts with reality and ends in fulfillment. You probably get by now that I’m not too keen on helping you try to become one of the 3% who wins at the weight loss game (although it’s completely understandable if you still want that – the mind always takes time to change, even when presented with new information – it took us centuries to believe the world was round!). Incorporating psychology into some rehashed version of what you’ve already done before would be like me using psychology to help you try to get rich at the casino – while it is possible, the risk is just too big, and I won’t put you in harm’s way any more than you have already been (even if that IS what you want!). And, let’s face it, if you were destined to be a success story with one of the varieties of the old weight loss method, you probably would be already, and you wouldn’t be reading this blog! Doesn’t this sound like benefits you’d like for yourself? A love of physical movement. Healthy habits that happen without effort. If so, I’m going to write you soon to show you EXACTLY what intuitive eating is, and how you can start to become someone who eats well without trying. WANT TO EAT WELL WITHOUT TRYING? CLICK HERE TO READ GLENN’S NEXT ARTICLE! *Honestly, if a diet ever does show significant and lasting weight loss, I will promote it to my clients. Whenever the “next big thing” comes up, I always read the research on it, only to be inevitably, but expectedly, disappointed (followed by feeling quite angry that “health professionals” are actually backing this stuff that has no good science behind it). **Tylka, T., L., Calogero, R.M., & Danielsdorrir (2015). Is intuitive eating the same as flexible dietary control? Their links to each other and wellbeing could provide an answer. Appetite, 95, pp 166-175. Hey Buddy!, I found this information for you: "Flexible diets are a wolf in sheep’s clothing". 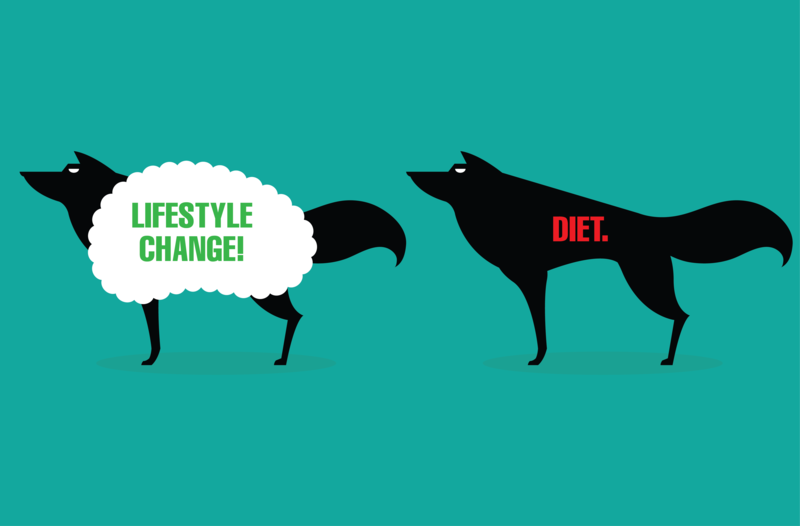 Here is the website link: https://www.weightmanagementpsychology.com.au/thought-39-flexible-diets-are-a-wolf-in-sheeps-clothing/. Thank you.